Minister of National Development Planning Alexander Chiteme says the Green Climate Fund support to Zambia’s agriculture and renewable energy sectors will contribute to accelerating the country’s development. According to a statement released to the media by Mr Chibaula Silwamba, the Ministry’s Spokesperson, the Minister said the 19th Board meeting of the GCF in February this year approved two projects for Zambia in the agriculture and energy sectors, which are within the priority sectors of the Seventh National Development Plan (SNDP). The Minister expressed optimism that the Strengthening climate resilience of agricultural livelihoods in Agro-Ecological Regions I and II will help support Zambia’s adaptation efforts. He said the aim of the project was to increase resilience of small holder farmers against impacts of climate change and variability by providing climate change information on time, to enable farmers plan appropriately. 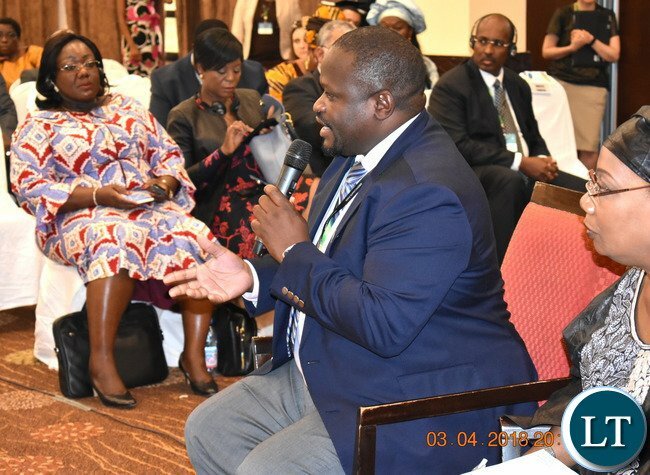 He told the on-going Green Climate Fund (GCF) organised Structured Dialogue with Africa meeting in Bamako, Mali on Tuesday that Zambia settled on the two projects because they are within the priority sectors of the Seventh National Development Plan. Mr. Chiteme said there was need to invest more in renewable energy both on and off-grid to boost production and improve livelihoods. The Structured Dialogue with Africa has attracted National Designated Authorities and focal points from all 54 African countries, accredited entities and other stakeholders to share views and experiences of their countries on paradigm shift towards low-emission and climate-resilient sustainable development among other objective. Previous articleSERIES 5: IMPEACHMENT MOTION – How should voting be done on the impeachment motion? Did Chiteme insult them or they just don’t like him? Why do you guys bring to us?